Tasmania is a strange and marvelous little place – an remote island off the coast of Australia with it’s own unique landscape and character. There are many great places to go in Tasmania that will blow you away. The capital city of Hobart is delightful, with plenty of cute shops, quirky cafes, excellent restaurants and a fantastic festival and art scene. It’s also home to MONA, one of the strangest art museums I’ve ever had the pleasure of visiting. Hobart is friendly and welcoming and there’s lots to see and do there. But your visit to Tasmania should not stop there! There are so many incredibly stunning destinations in Tasmania that are worth leaving the capital for – enough to fill many days of exploring. So I thought, who better to tell you about these places to go in Tasmania than travel bloggers who actually have experience venturing around this island? 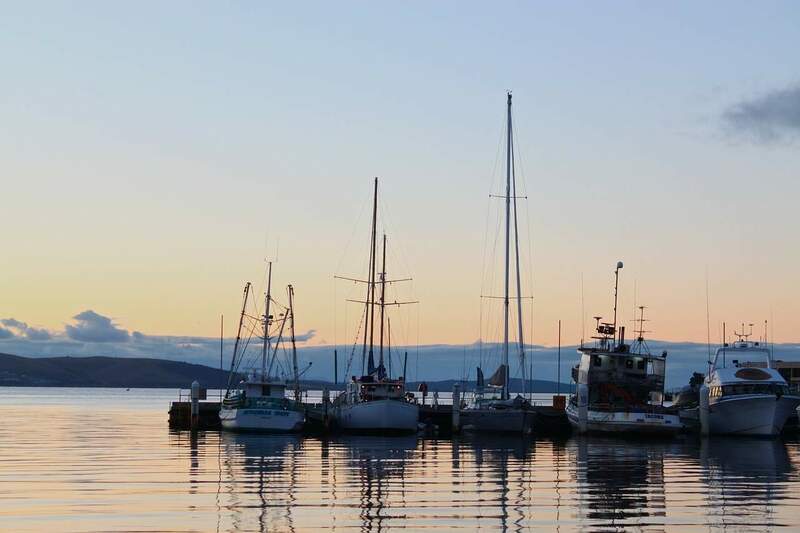 The following are some wonderful recommendations for places to go in Tasmania beyond Hobart you should not miss on your travels – from sparkling bays to wild islands to quirky towns and much more. 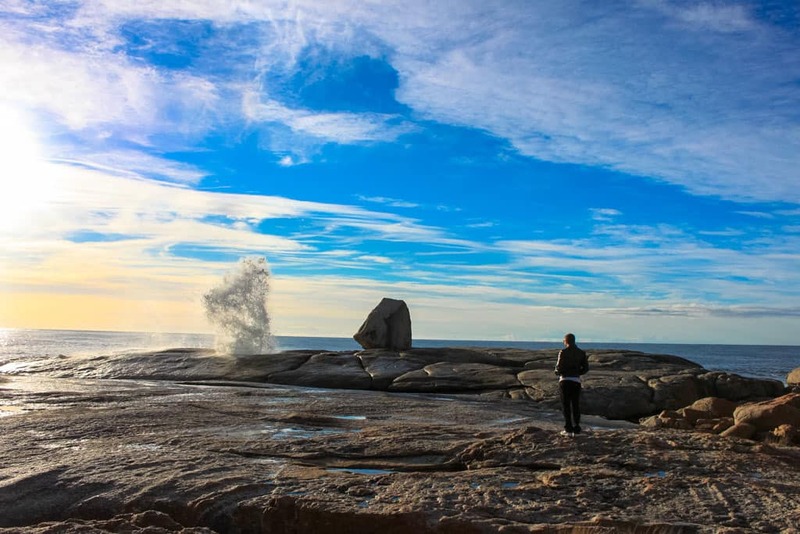 These places to go in Tasmania have been recommended by travel bloggers from all over the world who have one thing in common – they LOVE Tassie. Freycinet National Park is home to one of the most photographed beaches in Tasmania, Wineglass Bay. I first saw it in one of my many bucket list books and knew that I could not miss it. The lookout point is about a one hour hike from the wallaby infested car park. A rocky, forest path guides you to a magical view. I ended up rather sweaty, but it was certainly worth it. However, this beauty hides a rather gruesome past. In the 1800’s, when the local population relied on whales for everything from oil to eating utensils, there was a whaling station just around the corner. During the slaughter the blood would seep into the bay, turning the water in the glass shaped bay wine red. Although the practices (thankfully didn’t survive) the name Wineglass Bay does. Luckily, we live in different times and now it is a stunning national park less than three hours from Hobart with many different walks and camping available to those more intrepid adventurers. However, look closely enough through the clear waters and you’ll notice dark circles on the seabed. These are weed covered whale bones, a ghostly reminder of a past not so peaceful. The Bay of Fires stretches for about 50 kilometers along Tasmania’s northeastern coast. It was allegedly named by an explorer after he observed the indigenous people of the area building fires on the beach; however, most present-day visitors probably associate the moniker with the “fiery” splashes of color found all along the shoreline. An organism called lichen has stained many of the rocks here with a bright orangey-red, providing a stunning contrast to the white sandy beaches and deep navy blue sea of the bay. 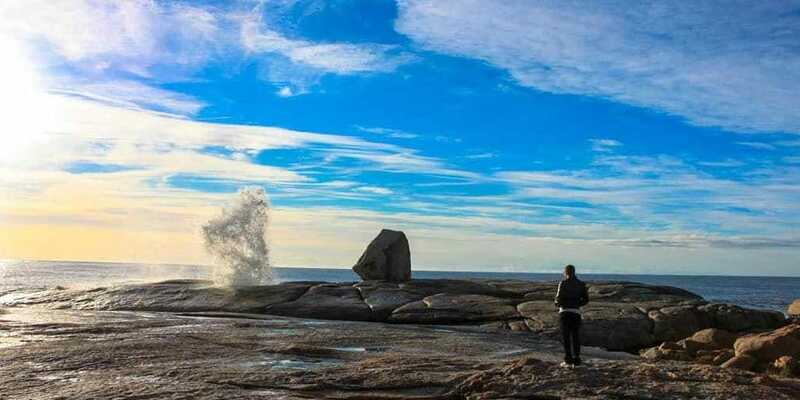 At the Bay of Fires, you can do all of the typical outdoorsy activities that make Tasmania special. Catch a wave at Binalong Bay, snorkel in some of the clearest waters you’ve ever experienced, or take a hike and explore secluded spots and hidden nooks seemingly untouched by human existence. You can also camp for free right alongside the beach—which gives even the laziest travellers the perfect chance to catch a sunrise over the sea, without having to stray too far from bed. This is a must see place that blew us away, one of the most interesting places to go in Tasmania. When we were told by a number of people to make sure to stop and see The Wall at Derwent Bridge in Southern Tasmania, I assumed it was…well… a wall. Something like another dam wall, but assumed it must be amazing due to the recommendations to go there. It is a purpose built gallery housing the most incredible 100 metre long carvings of local Tasmanian history. Each carving is 3 metres high and one metre wide, making up the 100 metres. Carved with such impressive detail, the story of Tasmania unfolds as visitors walk around the masterpiece. The timbers used are all local and vary with beautiful grains coming through in parts. If you are heading to this amazing Island, please take the time to visit Greg Duncan’s ‘Wall’. 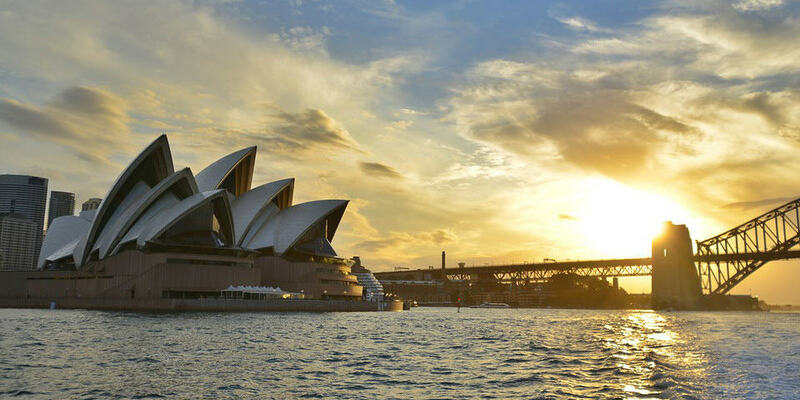 When people visit Australia, few travellers make to Tasmania and those that do often fail to escape past Hobart or Launceston but this forgotten state has plenty to offer and I certainly found a wealth of activities even during my winter trip. One of my favourite locations in Tassie is the town of Strahan on the west coast of the island. From my base here, I took trips along the magnificent, and quite disorientating, mirror clear Gordon River through World Heritage Wilderness rainforests and even a boat trip out to Hells Gates – a reference to the convict past. The area is filled with history and an excursion out to Sarah Island to learn the hardships and personal stories of convict prisoners is a must. 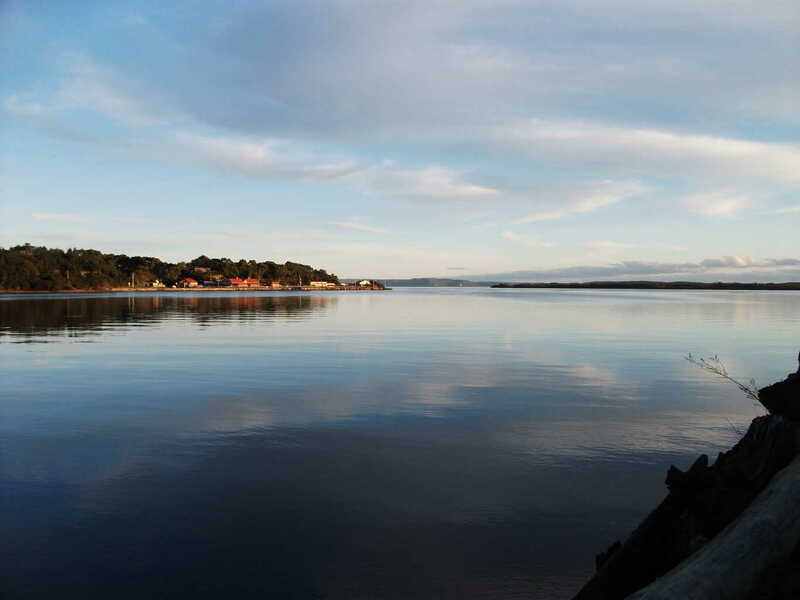 Strahan also has plenty of walks nearby, with Hogarth waterfall or a hike up to the Water Tower Hill Lookout for a perfect view over the bay. Of course, if you don’t feel like exploring on foot there is a steam train railway out into wilderness. This pretty little harbour town is an amazing spot to escape from it all and with so many activities to keep you going I’d highly recommend a visit! Just South of Hobart, Bruny Island is a little slice of paradise. Maybe it is the short ferry ride from Kettering to arrive at Bruny Island, but from the moment you arrive you are on island time. If you like hiking there is plenty to do. Water sports or fishing, yep that’s covered too. But perhaps what Bruny Island is best known for is food. Get Shucked farms oysters in the pristine waters right off Bruny Island (and it has a drive thru, so you can take some home with you). 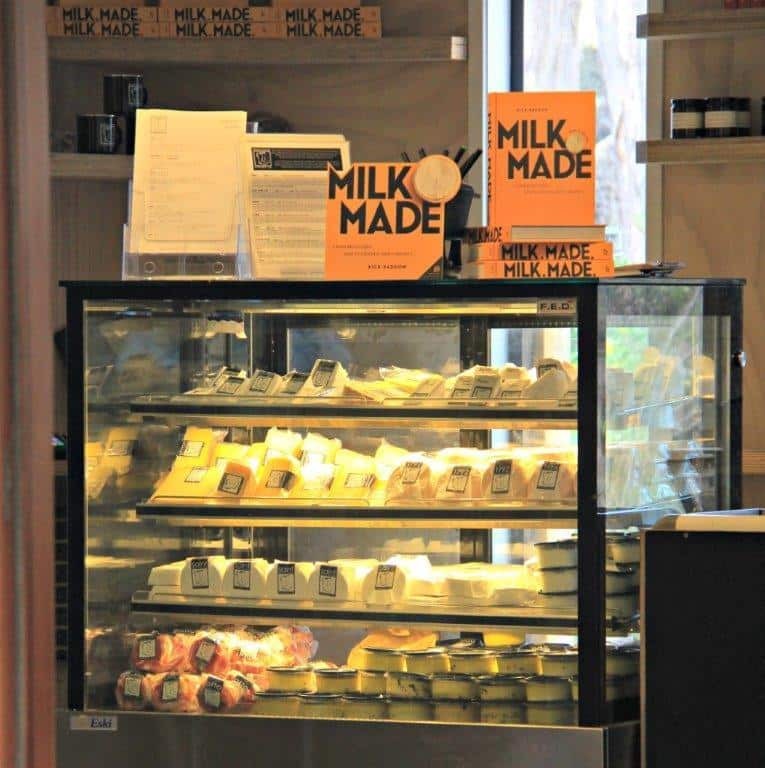 If cheese is more your style, don’t miss the Bruny Island Cheese Company making magnificent artisan style cheeses (and great coffee too.) 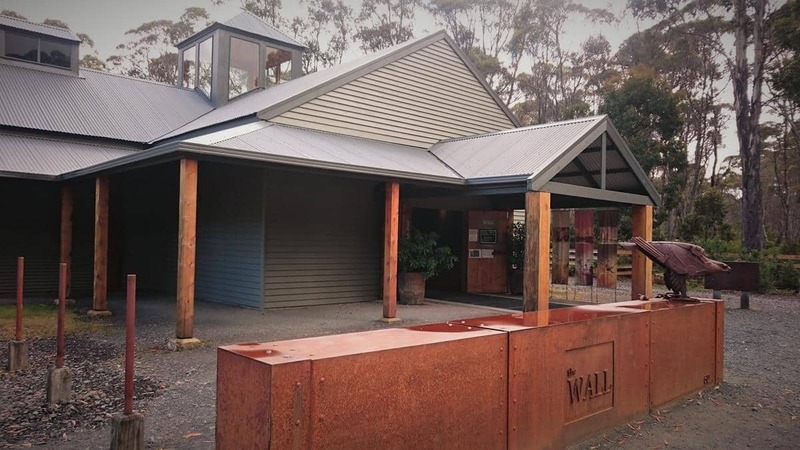 And if you head all the way to the bottom of the island you will be rewarded with Tasmania’s most southern winery, Bruny Island Premium Wines, a beautiful place for a glass of wine and lunch. You can stay overnight on the island or it makes a most enjoyable day trip from Hobart. 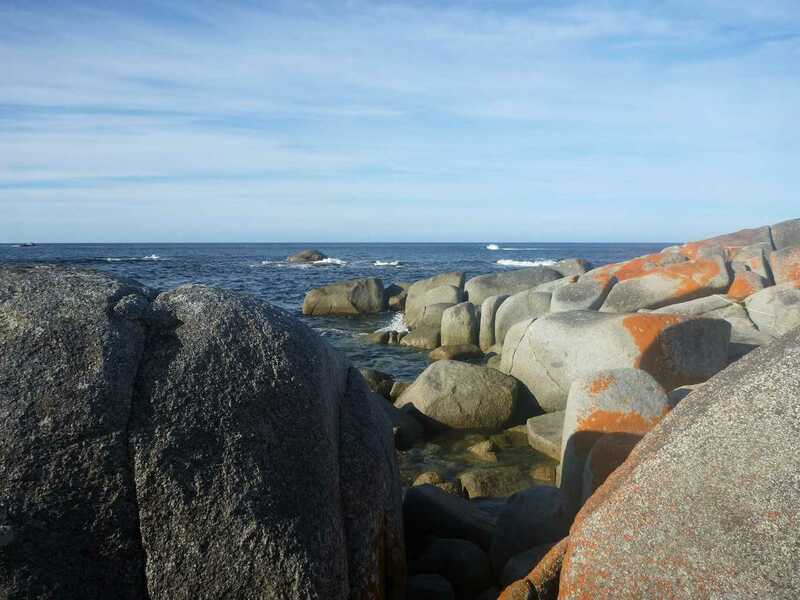 You can find Stanley on the north-west coast of Tasmania, virtually as far away from Hobart as you can get. 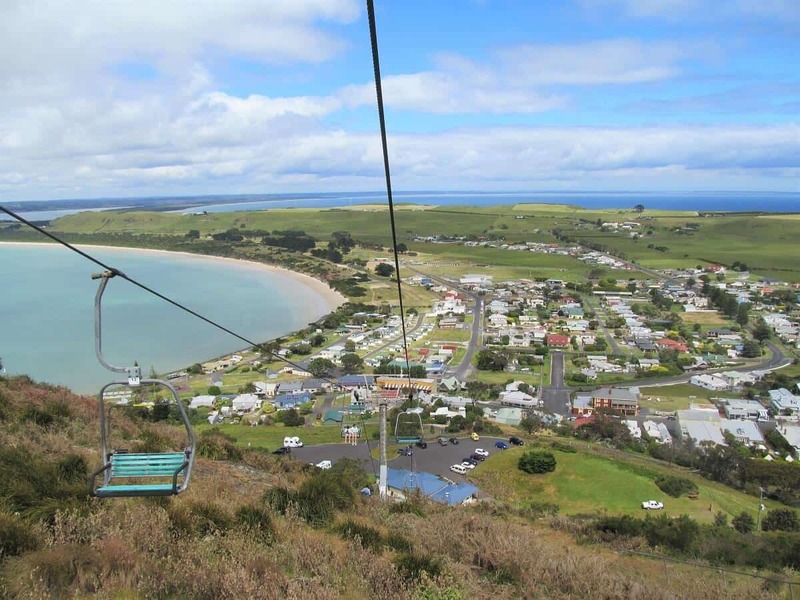 This beautiful little town of roughly 500 people presides on a peninsula that juts out into the thundering Southern Ocean. It has been given the nickname of “the edge of the world,” and when you find Stanley on the map it’s not hard to see why. The benefit of its location is that it affords you stunning views along the northern coastline of Tasmania. The ace in Stanley’s hand has to be The Nut, which is a giant rocky protrusion sprouting out of the ground. Formed due to a tectonic plate shift that forced rock upwards to create the freestanding hill that dwarfs the town, The Nut is one of the best places to go in Tasmania to admire the surrounding scenery. For those who fancy stretching the legs, you can walk up to the top of The Nut. Here you’ll find a series of walking tracks where you can admire a 360 degree view of the coastline. If a heart pumping climb is not really your style, you can choose to ride to the top of The Nut by the very convenient chair lift. Stewarts Bay is a 90-minute drive south east from Hobart on the Tasman Peninsula. With its white sand beach and surrounded by the Australian bush, it’s a haven and the perfect place to base yourself for a visit to Port Arthur. 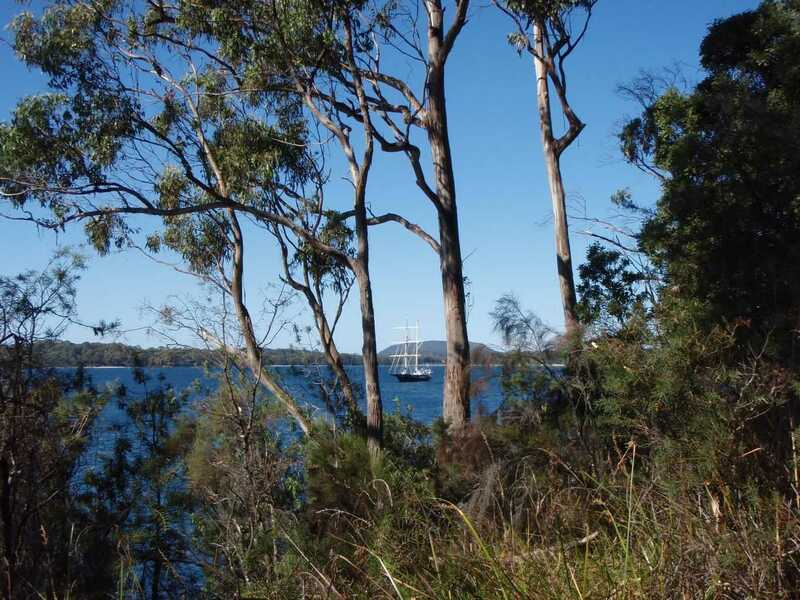 You can walk the easy one kilometre to the Port Arthur Historic site along the Stewarts Bay Walking Track. The sheltered bay provides a safe place for a paddle if you’re brave enough to take a dip in the chilly waters of the Tasman Sea. 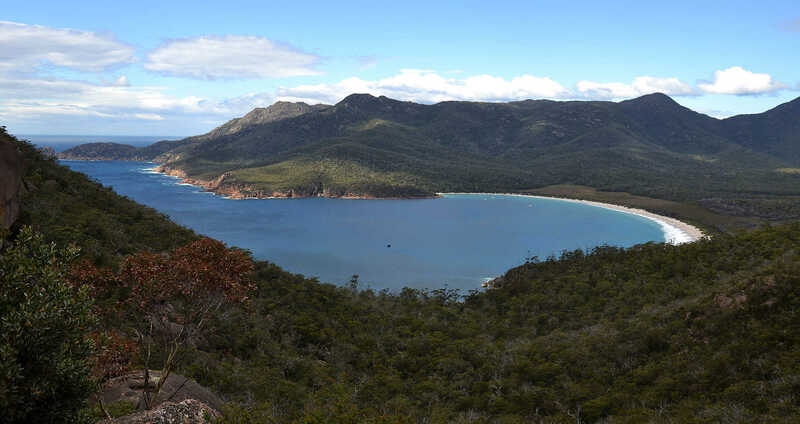 Port Arthur is also the starting point for Tassie’s iconic Three Capes Track, a 46-km, four-day hike taking in the best of the Peninsula. If you’re feeling less energetic, take in some of the Peninsula’s amazing sights and beaches by car. A short drive from Stewarts Bay and past Port Arthur leads you to the Remarkable Cave – the stunning cliffs and rock formations are amazing, as is the Remarkable Cave itself. Continue to the gorgeous and aptly named White Beach to marvel at the white sand, and then on to Nubeena for a meal or coffee. Complete a circuit by returning to Stewarts Bay. Richmond is one of the most visited towns in Tasmania outside of Hobart. What makes this town so special is that it has retained its colonial heritage. Heritage buildings line the streets and the town has a quaint and old town bustling vibe. Richmond is definitely one of the best places to visit in Tasmania to gain a deeper understanding of Tasmania’s history – particularly the importance of convicts in shaping the way it is today. You can learn about this at Richmond Gaol – the oldest gaol still intact in Australia. You will also want to visit Richmond for the traditional sweets shop and see the Hobart Town model village which offers a glimpse of life in Hobart in the 1820’s. 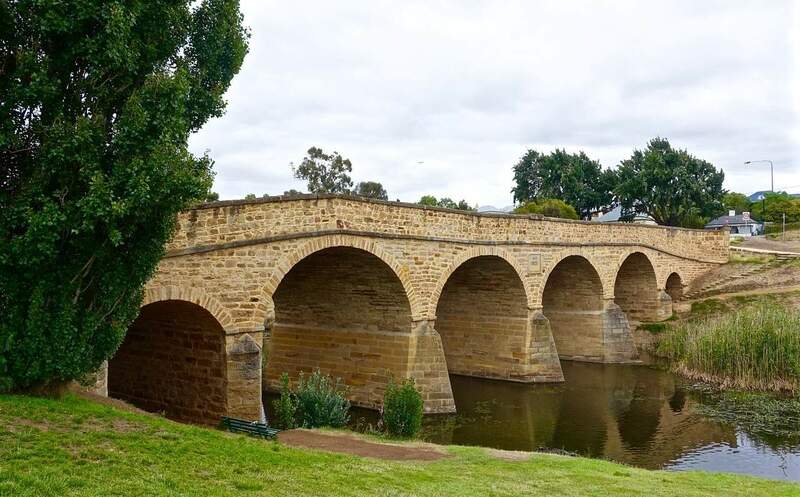 It’s an ideal place to slow down and have a picnic overlooking the river and the oldest stone bridge in Australia, Richmond bridge. Maria Island, just off the coast of Triabunna on Tasmania’s east coast is rare gem devoid of shops, cars and modern life. Stay in the original convict quarters perched among the ruins of the colonial silk and wine trade. 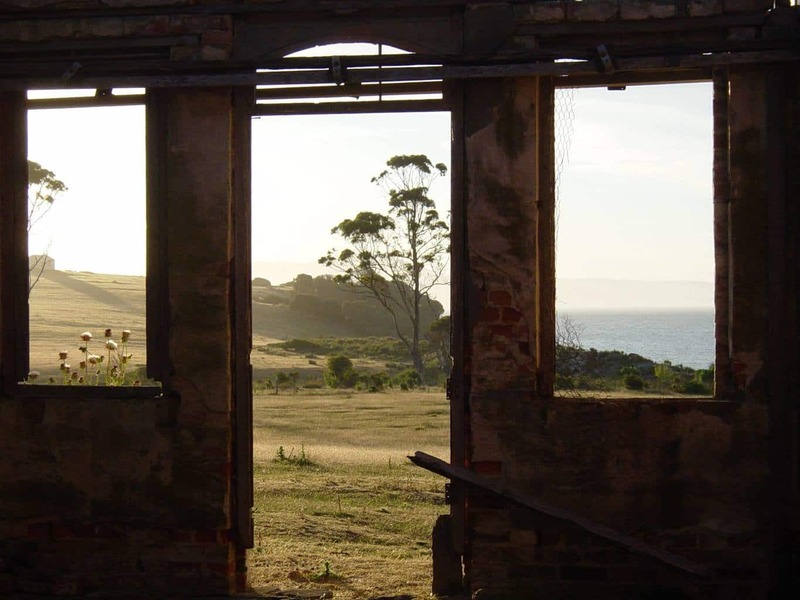 But Maria Island’s history goes far beyond its place as a convict settlement. Prior to white settlement, and prior to the original owners, the Tyreddeme band of Oyster Bay, the Island’s natural history is one of its big draw cards. 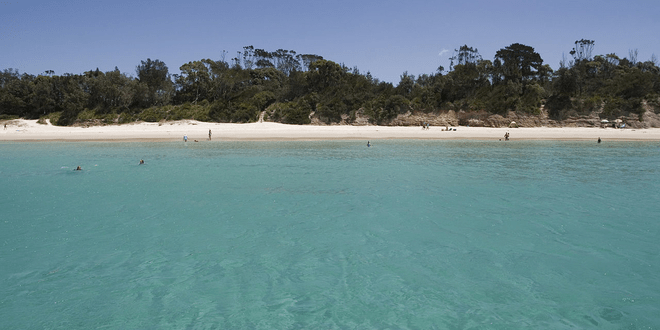 Maria Island features rare Macropods perfectly preserved, stunning red caves and water spouts and geological remnants of Australia’s split from Gondwana. If the walls of perfectly preserved fossils aren’t enough to excite your kids, they’ll find penguin colonies, rare birds and stunning blue marine habitats full of dive worthy fish and features. With no cars on the island, it’s a ten minute walk to the eastern side where all the pre-settlement goodies are and kids love hitting the island by bike. 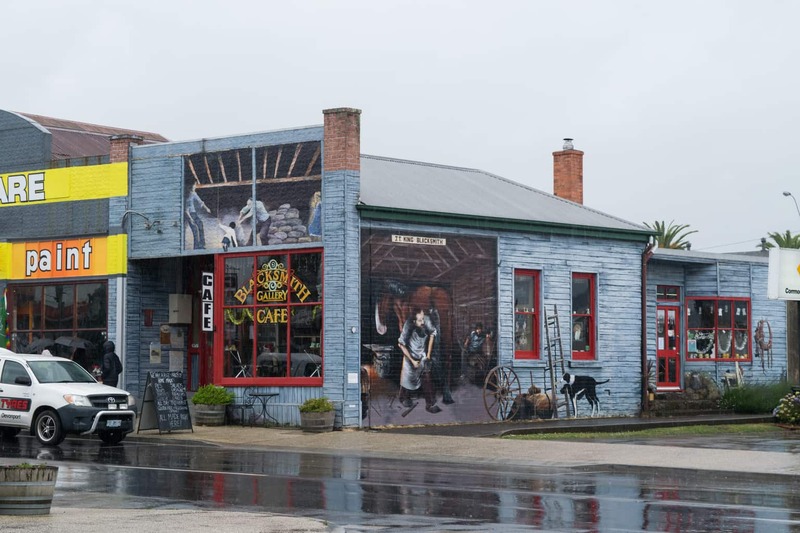 Known as the “Town of Murals”, the small town of Sheffield outside the city of Devonport definitely lives up to its name. Sheffield would be just another ordinary country town were it not for over 50 murals decorating its homes and buildings. The idea first started in the 1980s and over the years more and more murals have gone up, even creating the annual Mural Fest festival. The murals cover a range of themes and subjects, from depicting scenes of rural Tasmanian life to honouring services like the regional police and ANZAC soldiers. Many local businesses cleverly use them as advertising as well. My personal favourites are the ones that pretend to show a glimpse of what is going on inside the building, like the interior of the Blacksmith Café, or a child peeking into the window of a boutique shop. Safe to say, there are plenty of photo opportunities to be found as you wander around the town. Given its location about half way between Devonport and the likes of Cradle Mountain and Mt Roland, Sheffield is also one of the best places to go in Tasmania when you want to stop for a coffee or spot of lunch. A worthwhile detour between Hobart and Launceston, Bicheno is a cute seaside town with white sandy beaches. The main attraction, though, is outside of town. The Bicheno Blowhole is a hole located in the granite rocks jutting out into the ocean that turns even the smallest of waves into powerful jets of water. You could spend hours watching the waves splashing against the rock and gushing out into the air. Be careful of any wet rock surfaces which can be slippery and don’t stand too close to the spray to avoid getting wet. After having our fun trying to time the perfect shot, it was even better watching other families accidentally get soaked for getting too close. One suggestion is to get something to eat in town and have a little picnic right near the blowhole. There is a cute bakery and also a yummy fish and chip shop right near the local grocery. If you have the time and stay in town overnight, you’ll get treated to a penguin sighting! Bicheno Penguin Tours takes you to see fairy penguins at dusk where you can get up close without disturbing their nightly routine. Have you been to any of these places to go in Tasmania? Do you have a favourite destination that is missing from this list? Let us know about your favourite places to go in Tasmania in the comments below. Tasmania is a little Islamd that has something special around every corner. Your post combines some of the best places to see! Thanks Jane! It really was one of my favourite places in all of Australia that we visited during our Working Holiday. My all time favourite is Cradle Mountain. I always prefer to stay at the lodge, on the very edge of the National Park/ Wilderness. Just perfect in winter or summer. Activities are well equipped for both seasons. I loved reading this. I admit to knowing almost nothing about Tasmania apart from the people who go there love it. Thanks for opening my eyes a little further.